I'm with quite a lot of posts and reviews going on, but today it happened something that must go in front of everything else. We are needing this for too long! Probably you remember the UPCORE G1 prospect [1, 2] from about two years ago which ended in nothing. Now there is a new hope for a legion of Technic fans who have been eagerly waiting for a solution that allows them to control their Power Functions models via Bluetooth. Now with a smartphone in the pocket of virtually anyone, this would open a new dimension of possibilities. A team of Hungarian LEGO fans has created a Kickstarter project where they propose exactly what we have been waiting for years - SBrick (Smart Brick to control all your LEGO creations). The good news is that as you can verify they have prototypes in very advance stage, which have already proved to work, but need now what is needed to help them with mass production and turning this into a commercial product. In short, it is Ready! But needs you little support to make it run the extra mile. And guess what! You can Back This Project and become one of the first to receive the perfect kit to unleash your LEGO imagination! There is plenty of functions and possibilities as well as details about how the project developed so far, what has been achieved and what's still in the works for future enhancements. Better to read all this from SBrick Kickstarter page then copying everything here. You may also find other useful information at www.sbrick.com. PF Bluetooth receiver - wireless control up to 100 meters, without sunlight interference. Form factor compatible with LEGO IR Receiver, so it is easy to take it out and replace with SBrick. Because you don't need a light sight anymore you can even bury it somewhere into your model. Control up to 64 ports with one remote (16 SBricks, each with 4 ports). Program SBrick so it even works without the remote control app (reminds me the old Control Center in a modern and much more advance version). You can control with an app provided and compatible with iOS, Android and WP8 devices (both phone and tablet devices). 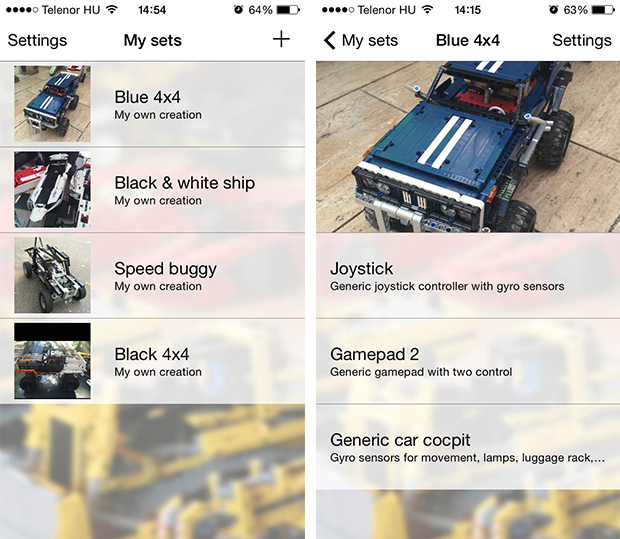 Fully customizable profiles to control all your models the right way you want it. The app can also download more remote control profiles from the cloud. Profile Designer Service (if SBrick reaches the Kickstarter stretch goal of 140.00 GBP). Chip tuning to juice more power where it matters (if SBrick reaches the Kickstarter stretch goal of 160.00 GBP). Extensively tested, it is compatible with virtually any LEGO motor and PF lights, and we never know what come next. Below also some pictures that give an idea about the app functionality and some screenshots with examples of possible remote profiles. IMO this project looks far more thought, developed and tested than the previous UPCORE attempt. Vengit team who developed this SBrick prototype even found a subtle way to overcome the biggest drawback with the previous proposal, that may have raised some panic into the Technology Innovation team at LEGO. Unlike UPCORE solution that required a PF cable which would allow to short circuit two batteries, SBrick uses a negative plug socket to connect to a battery box with a regular PF extension cable - One clever design workaround to prevent something of huge concern in terms of safety specially considering this is also a children toy. This way they have also avoided another alternative that would mean the need and cost to add the PF cord like in the LEGO PF IR Receiver. Either they would reuse LEGO cables or they need another mold and tools to reproduce the PF plug. Not to mention eventual license or IP problems arising from that. Another aspect that amazes me is the very clever design solutions developed, from the date this project started till the point where it is now, taking into consideration all the feedback received along the way. 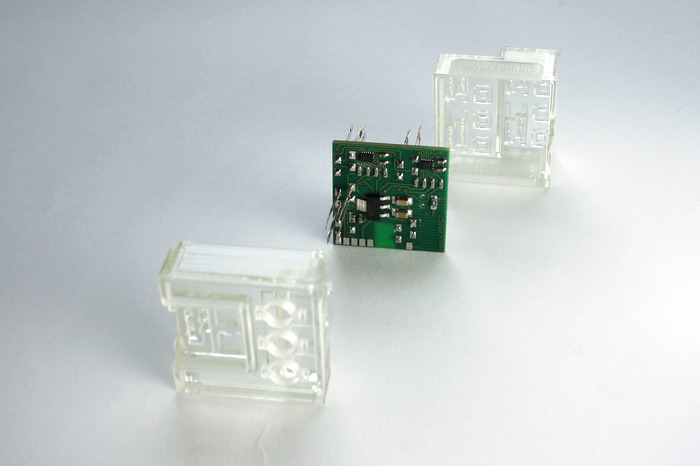 From a simple enclosure with the electrical connectors sprouting from two sides of the brick, to the stair type configuration with all the connectors sprouting in the same direction, for an easier build experience. The option for a similar format and same size of the PF IR Receiver is another positive aspect that should ease the integration with existing LEGO Technic official models to come. 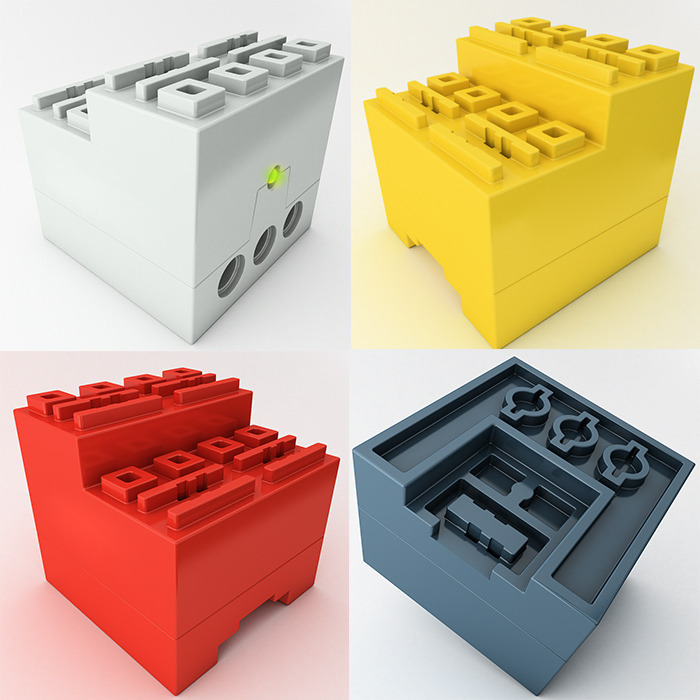 It is also nicely done the knob design configuration that allows the SBrick to interconnect with LEGO bricks and pins without looking "too much" LEGO and again eventually infringing some IP. Immediately after knowing about this I engaged into a nice conversation with Lénárd Pasztor (SBrick Project Lead) the whole afternoon and got some further details for you, if you have similar questions to mine. It is likely to support any device that can be connected with a PF plug and which does not draw more current than 1,6amps per channel (The overcurrent trip value from the chip used to drive the motors goes from 1,6 to 3,5amps) - So it goes up to 1,5amps to be on the safe side. Like with the LEGO IR receiver, you can also stack motors into one single port as long as you do not exceed the port current limits. Alternatively you can also cascade ports on multiple SBricks and assign them to a single control in your remote app. Each port supports PWM with 256 including zero and full throttle in each direction. Coast and Break functions are also supported as well. 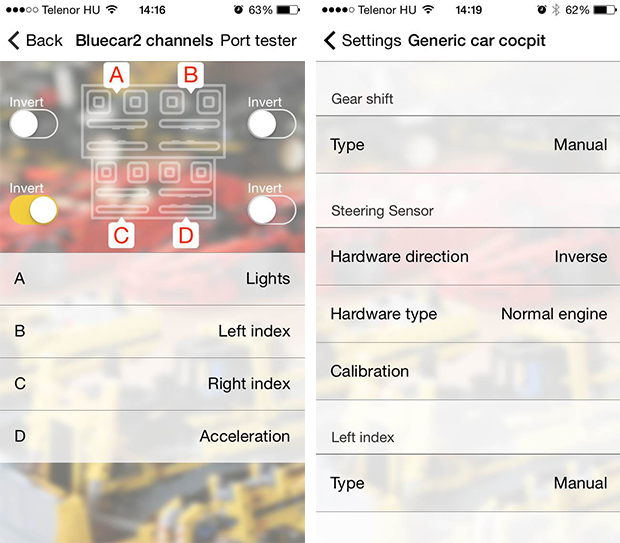 A control can be a simple slider or a simple switch, but it can be a gyro control or a camera based color sensor or an index lamp controller which depends for example on the gyro or other slider (for steering) status. Expect the following colors to be available to match your LEGO creations, if this Kickstarter succeeds: LBG, Black, Yellow and Red. If the Kickstarter goal gets reached we can expect to see the SBrick Bluetooth protocol released, to allow for 3rd party apps and control electronics. The Profile Designer is a planned web service (it will need a desktop web browser). With this web service user can create new remote control profiles by setting the pictures and controls on it, and even do some low level programing. 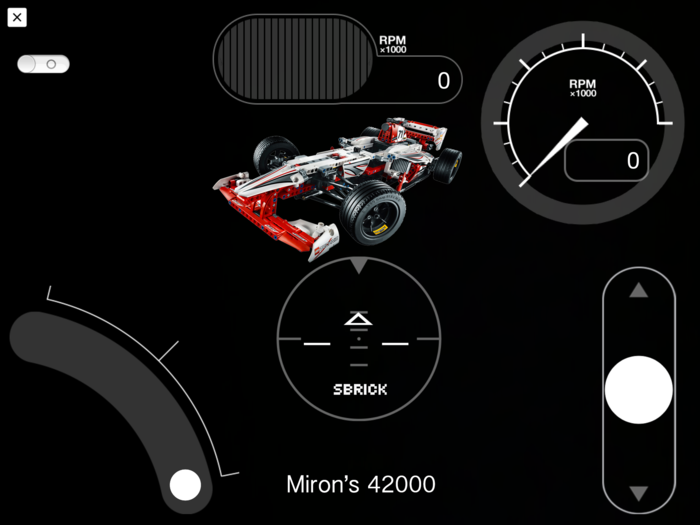 The control profile is a simple JSON and the pictures. Currently there is no timeout implementation but it is something already identified and in the to-do list. Currently the hardware interface only implements absolute speed settings. But it is not out of question create a control knob that works like and incremental control (like wheels on the LEGO speed remote IR controller). Time to watch another video showing how to use the Smart Brick. And that's it! Feel free to put your questions and someone will answer them. Kickstarter opened an whole new range of business models and partnership possibilities for good, and just hope this one succeeds. 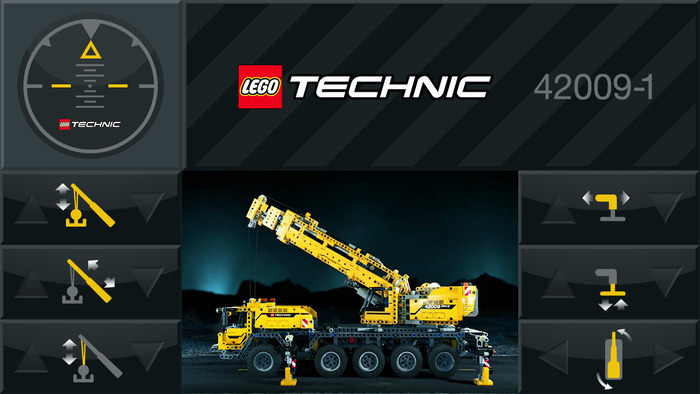 If you like me to think loud, I wouldn't be surprised if I get to know that LEGO is somehow backing or consulting this idea for sometime (some small details in the design don't let me stop thinking about this possibility...). What would be the best way to make something happen, they eventually don't want to take at their own risk at the moment? This looks perfect for a greenfield market test. 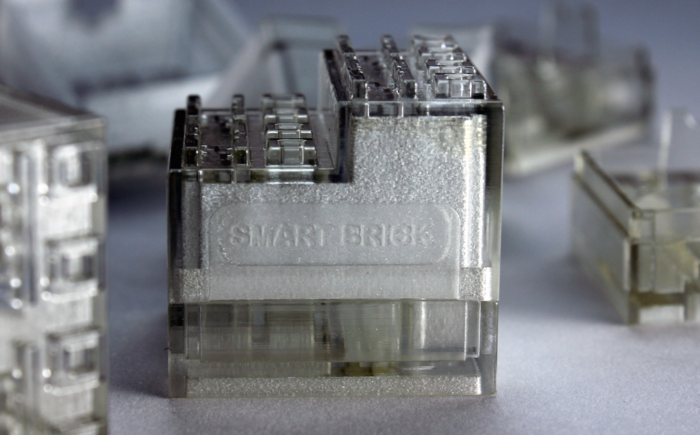 Can't wait to get the SBrick in my hands and check for the endless possibilities it promises to deliver! There are plenty of pledge options to choose from! Just check them and do your pledge before August 13th, to help SBrick reaching its Kickstarter goals (60.000GBP minimum) and quickly becoming a reality. Keep checking the SBrick Kickstarter widget here in the column at the right side, to follow the baking status and do not forget to share with your LEGO friends. More to come, when the time arrives. This really looks interesting! It might well be the first Kickstarter project I back. This is an excellent idea; it's about time someone come up with this! I see it is compatible with EV3!